Location – iHUB. Find directions. There are no more seats available. Registration has closed. Brigitte is the Founder and CEO of Go Beyond Early Stage Investing. Go Beyond enables novice & experienced, small & large investors, to access angel investing as an asset class through its unique platform, tools, training and expert angels. Go Beyond works with individual investors, family offices, professional groups/associations and corporations. Go Beyond operates in Europe and the US. Its team is comprised of seasoned business angels and is the subject of a Harvard Business School case. 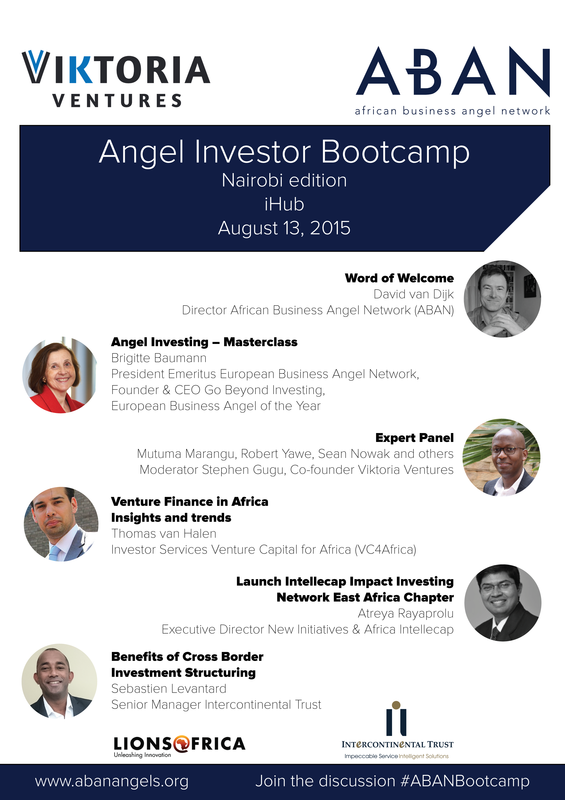 Brigitte is a Business Angel since 2003 and has received The European Investor of the Year from EBAN in May 2015. Brigitte is President Emeritus of EBAN, the European trade association for Business Angels and Seed Funds http://www.eban.org Brigitte Chairs Young Presidents Organization’s http://www.ypowpo.org global Angel Investing group. net businesses including online travel (strategic partner of Expedia.com and subject of HBS case study) and e-Procurement. Prior to that, Brigitte spent three years as President for US and Canada of Gemalto, the world’s leader in smart card technology and applications to introduce smart cards in the North America. Before, she spent six years in different Vice-Presidential/General Manager positions in the UK, France and Switzerland at Amex. She also spent five years with McKinsey & Company Inc. as Senior Engagement Manager, in New York, Paris and Tokyo. She began her career in manufacturing and sales with Rohm & Haas, a leading specialty chemicals company. Brigitte holds a B.Sc. in Chemical Engineering from Tufts University, Boston and an MBA in Finance from the Wharton School at the University of Pennsylvania Born and raised in France, Brigitte and her family now live in Zurich.